A really impressive cleaner suitable for just about any hard surface, which harnesses the latest technology to produce great results with minimum effort. 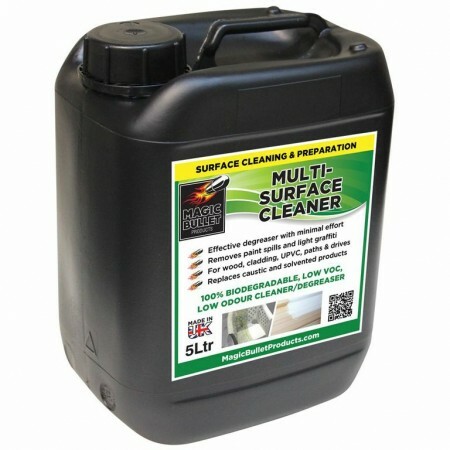 Magic Bullet’s ‘Multi-Surface Cleaner’ (MSC) incorporates the latest in ‘dirt defence technology’, and has been engineered as a cost effective cleaner for a wide variety of hard surfaces including – UPVC, wood, cladding, tiles, grouts, metals, garden furniture, paths and driveways, floors and roofs . It can be used safely indoors and out. Apply the product liberally – a low pressure hand spray can be used for large areas and particularly for vertical surfaces. 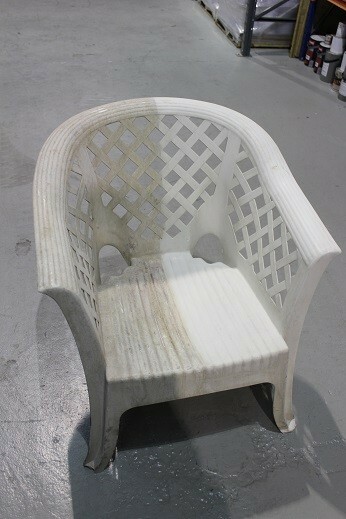 Allow the product to work for 5 to 15 minutes on light soiling and 15 to 30 minutes on heavy soiling. Agitate briefly with a brush or coarse cloth as appropriate. Do not allow to dry out prior to rinsing off.Whilst still wet thoroughly rinse off with clean water. Use a pressure washer on larger areas or very porous substrates to achieve best results.Stubborn or deep staining may require a second application. Dilution – For heavily soiled areas, use neat. For lighter soiling, dilute 1 part MSC with up to 5 parts clean water. 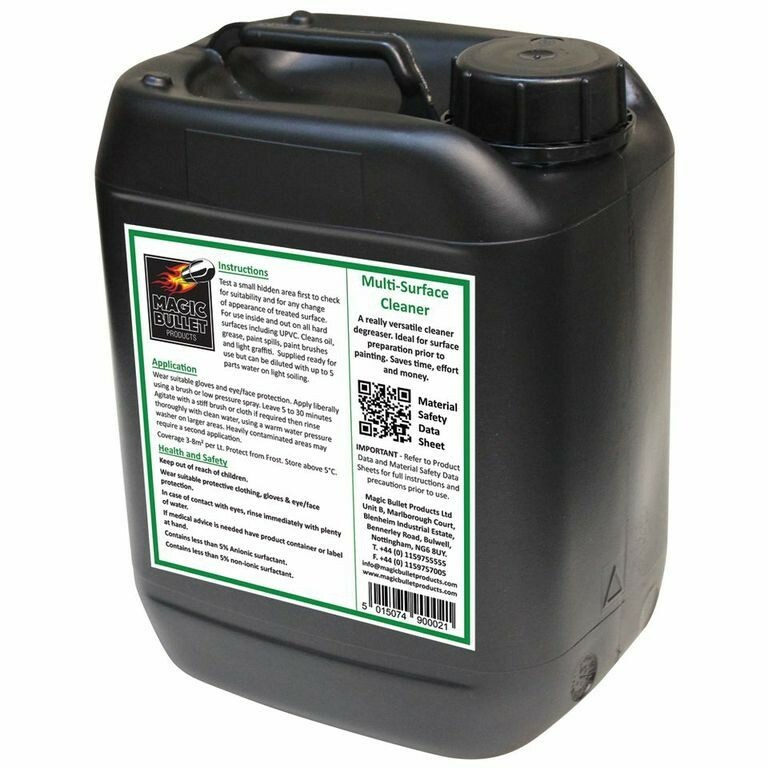 Trial application - As with all our products we strongly recommend you carry out a small discrete sample application to test the suitability of our Multi Surface Cleaner for your particular use.